You are here: Home > Broken Deadline > Amateur Photographer of the Year competition. Amateur Photographer of the Year competition. Your image must be at least 6x9in, or 2,700 pixels along its longest dimension, to be printed in the magazine. The file name of your image must be your first and surnames, for example Elizabeth Windsor.jpg. The subject line of your email message must state the round name and your name once again – eg Leading Lines: Elizabeth Windsor. Finally, in the body of your email, include the camera model, lens and exposure details, if known, such as Canon EOS 40D, 18-55mm, 1/45sec at f/4, as well as a sentence describing what the image is. If your email does not meet these requirements, we will unfortunately not be able to enter it into the competition. We will re-publish these requirements with each new round announcement. We will, of course, still be accepting prints and slides. 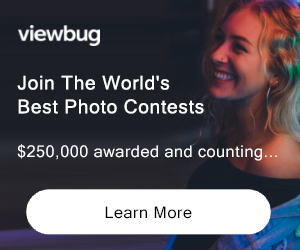 We hope that by increasing the number of ways in which you can send us your images, we can expand the competition and reach a whole new generation of photographers. Canon will be our new sponsor for the APOY 2009, with thousands of pounds worth of great prizes to give away. There will be £1,500 to £2,000 worth of Canon prizes to be won each month and the person crowned Amateur Photographer of the Year 2009 wins £5,000 worth of Canon gear. Below is a list of this year’s rounds, a synopsis of what we’re looking for and the date they will be announced. Ultimately, we want you to think outside the box. Be keen, creative, proficient and interpret these themes in a personal way that means something to you. PRIZE DETAILS: There will be £1,500 to £2,000 worth of Canon prizes to be won each month and the person crowned Amateur Photographer of the Year 2009 wins £5,000 worth of Canon gear. 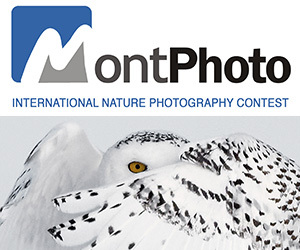 ELIGIBILITY: This competition is open to bona fide amateur photographers and students only. That is, entrants should not earn more than 10% of their total annual income or £5,000 annually from photography. Not eligible to enter? - Find contest where you are. COPYRIGHT: Copyright of all entries remains with the photographer, but Amateur Photographer and Canon reserve the right to use entries, without payment, to promote the competition.By entering this competition you grant permission to Amateur Photographer and Canon to reproduce your photos for display at an exhibition, and on the Amateur Photographer websites, should they be selected.